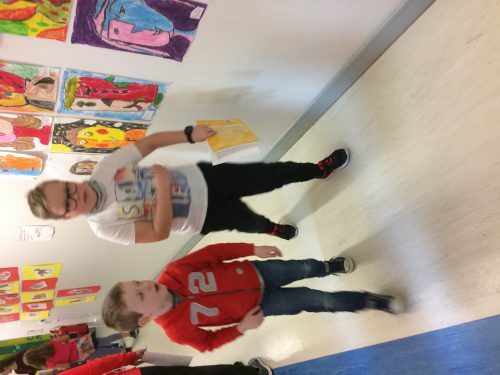 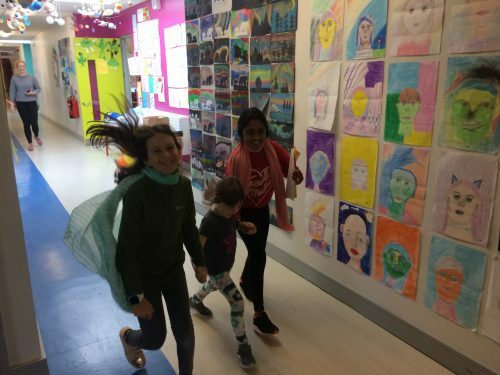 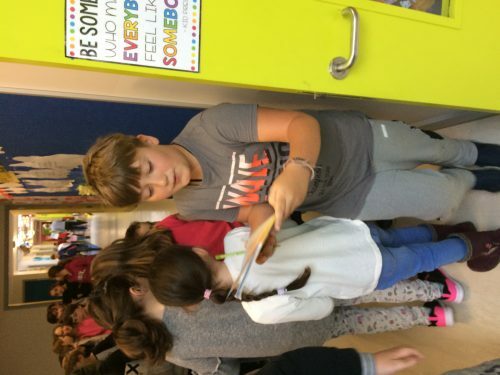 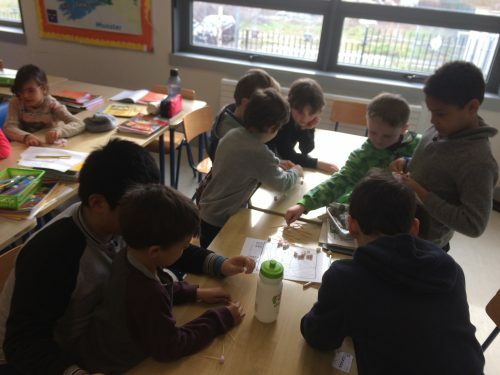 We celebrated Seachtaine na Gaeilge last Week 11th-15th of March. 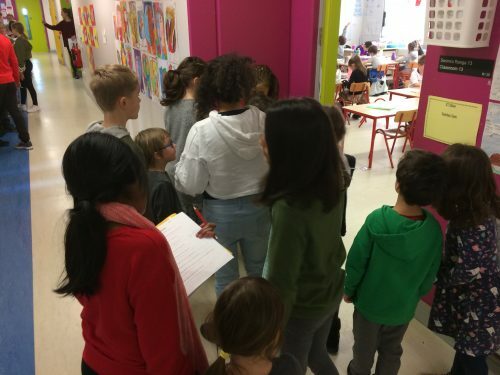 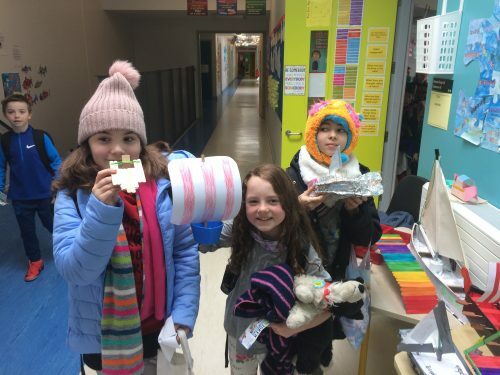 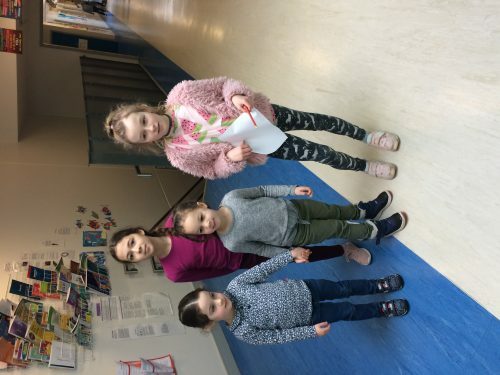 We had a great week, we buddied up with Rebecca’s Junior Infant class to do a Toir Ciste (Treasure Hunt) around the school. 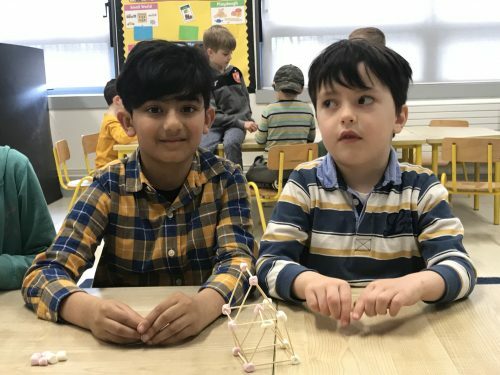 Engineering Week 4th -8th March. 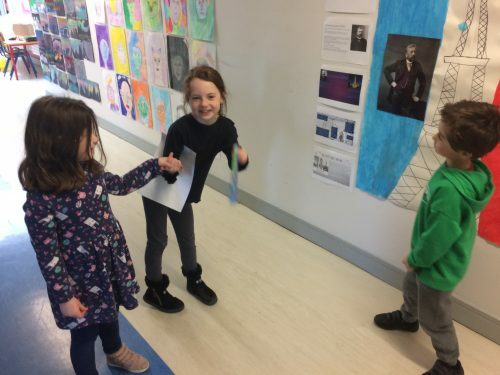 We studied some engineers and scientists, we looked at Elon Musk in particular. 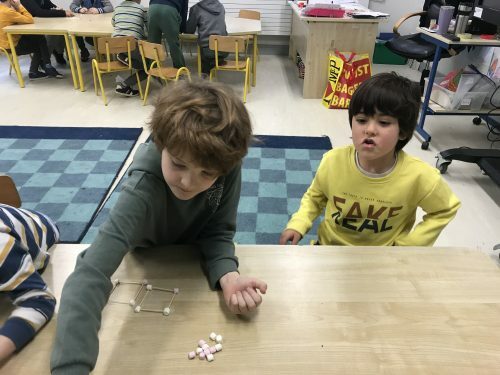 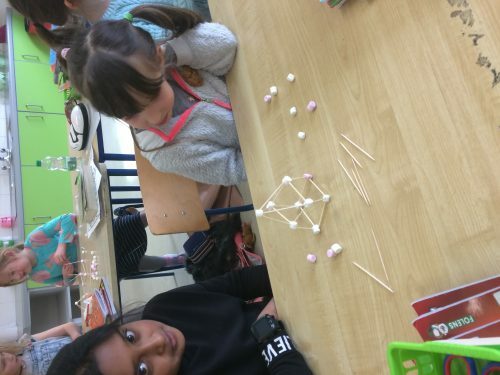 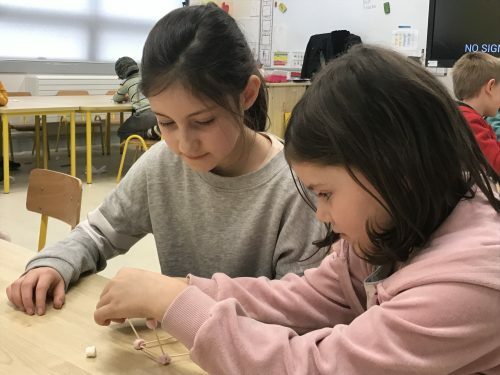 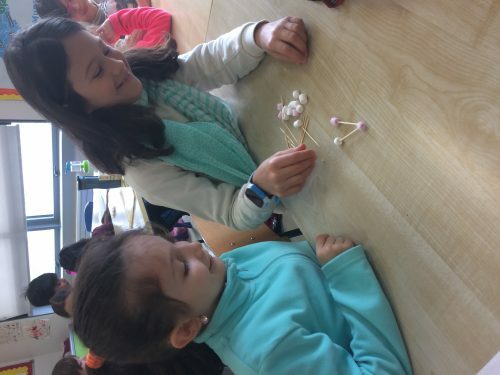 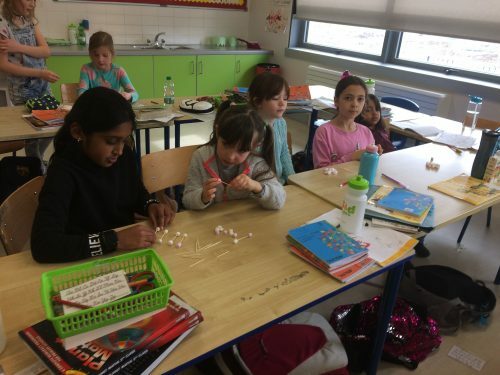 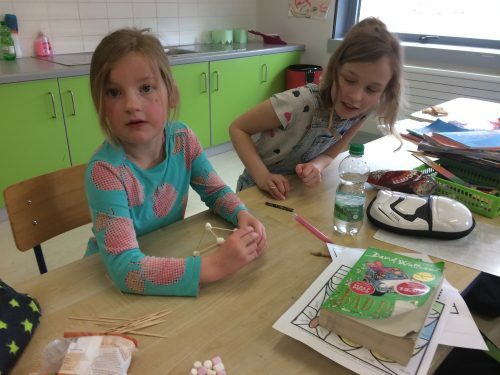 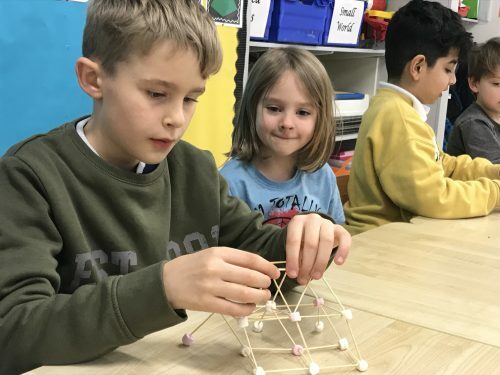 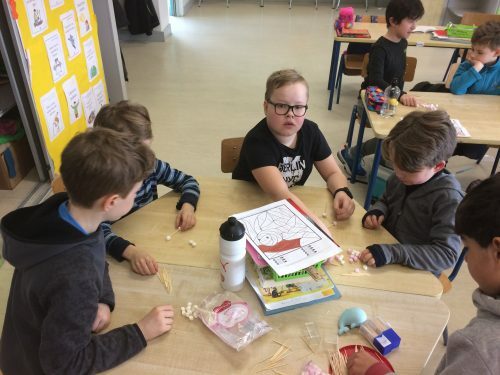 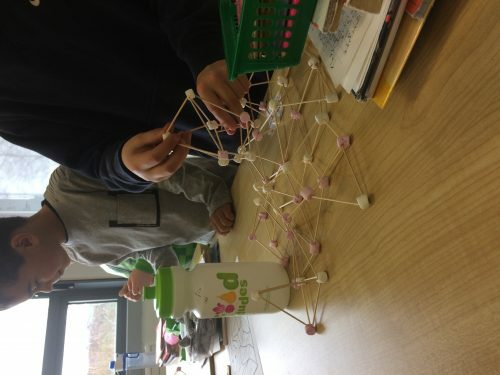 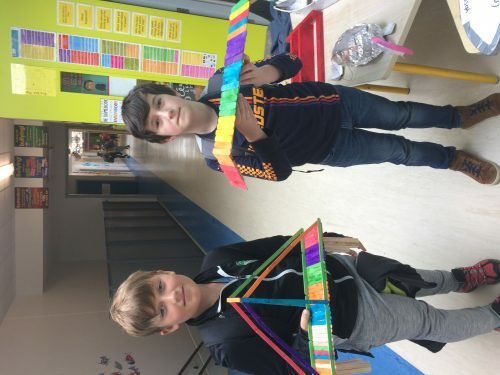 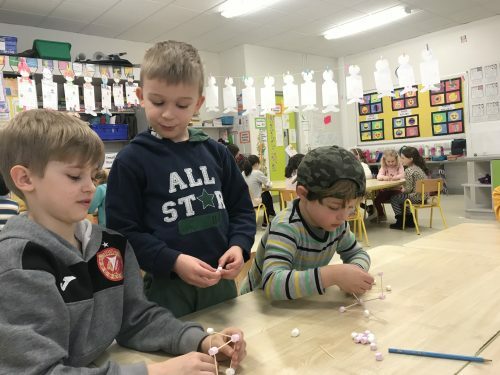 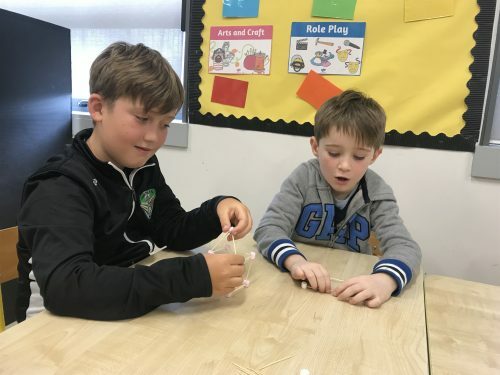 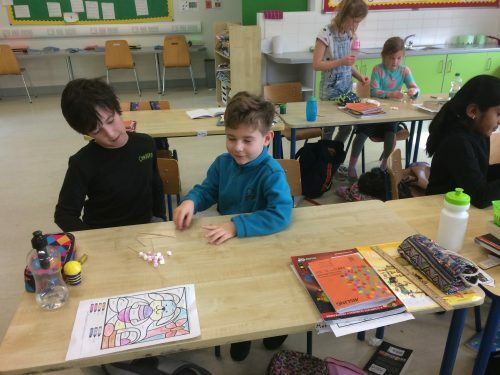 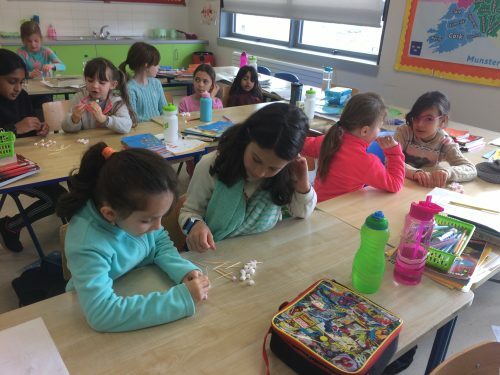 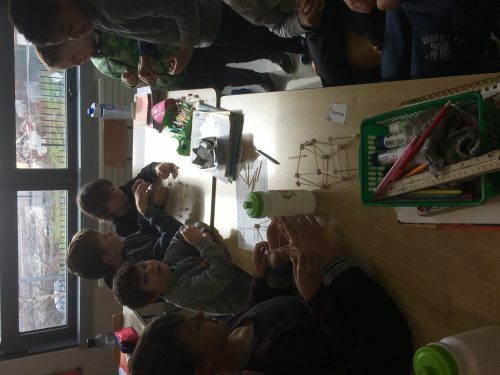 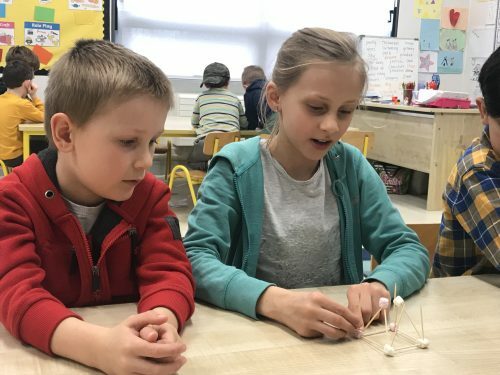 We also buddied up with Aisling’s Senior Infants and taught them how to construct their own buildings and 3D shapes using cocktail sticks and Marshmallows. 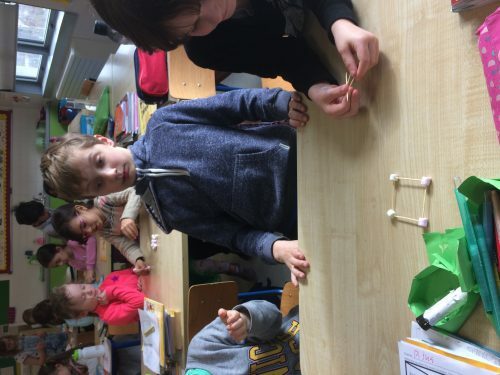 The main challenge ended up trying to keep all the marshmallows until the end!! 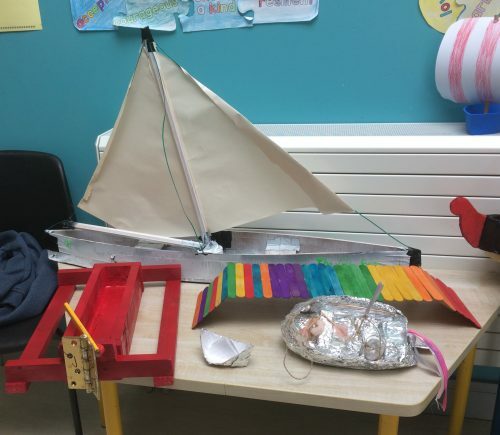 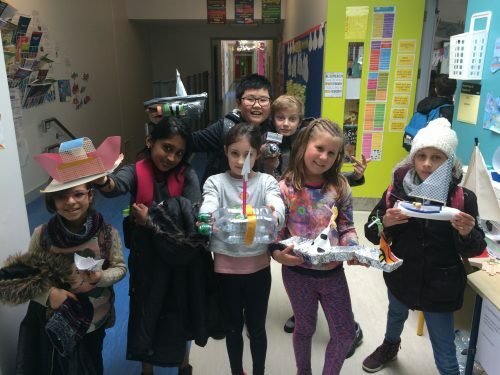 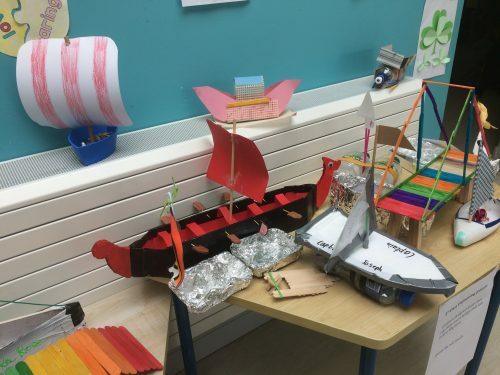 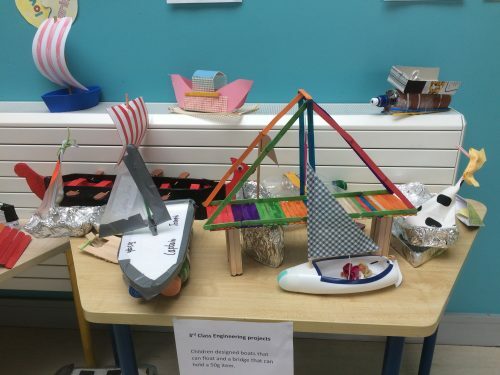 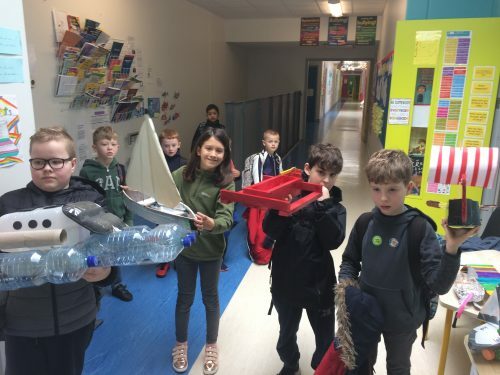 Our class designed and built their own bridges and boats and did a magnificent job!